Todd Piro’s time at NBC rewarded him with not only a good job but also a special someone after he broken his relationship with his first wife. Serving as a host and correspondent for Fox & Friends, he was once a former WVIT-TV news anchor. As of now, he is a contributor to the Fox Network’s show Breakfast With Friends. Besides the news industry, he worked as a litigation lawyer and recruitment coordinator at Hughes Hubbard & Reed LLP for five years. Age 40, Todd Piro was born in 1978 at Verona, New Jersey. He is very close with his parents which can be reflected in his posts he shares on his social media. He once even filmed an episode of Fox & Friends with his parents which showed how close he's with his family. He attended Verona High School and later graduated from Dartmouth College. He also attended UCLA (University of California, Los Angeles) from where he received a law degree. Piro made his way to the television industry by working as a morning anchor for CBS related station KPSP Local 2 News in California. 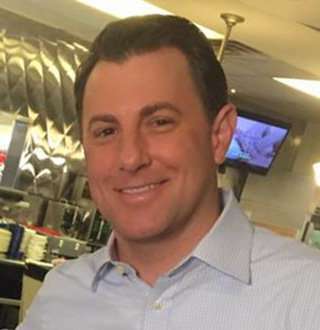 Then in 2012, he joined NBC as the weekday morning anchor for WVIT-TV’s NBC Connecticut Today. He also served as a guest anchor for various shows like Early Today, The place or politics and First Look. During his time at NBC, he covered school shooting at Sandy Hook Elementary, the record-breaking blizzard of 2013, and Hurricane Sandy. See more: CNBC Veteran Joe Kernen Net Worth & Salary Is Just Massive! Finally, in 2017 he joined the Fox News Network, where he previously interned when in college in 1998. He serves as the host and correspondent for Fox & Friends. As a Fox News host and correspondent, he is estimated to earn an average salary of $102,080. Love, at first sight, is real - and well that’s how Todd wanted to make Amanda Raus his wife when they met on his first day at NBC Connecticut in 2012! After a month of getting to know each other, they started dating. For their first date, Todd asked his wife out to a Dartmouth-Yale football game and ended it with an early dinner at Wooster Street in New Haven. After some years the couple got engaged and shared the happy news on-air while anchoring together for Memorial Day. 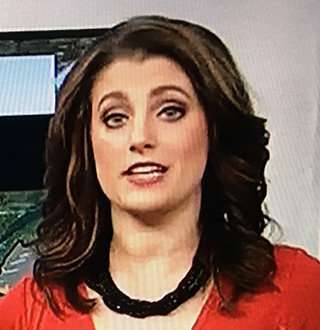 Piro, who is a previously divorced man, then finally married his wife Amanda, who is a Fox 61 News Anchor on 14 June 2015 at St. Stephen Church in Trumbull, Connecticut. They had a lovely wedding with closed ones around and a perfect weather to compliment the special day! They had a wonderful wedding party at The Inn at Longshore. Recently in 2018, the so-in-love couple went to a Dave Mathews Band concert and even shared a cute selfie. Now, we can’t wait for a new bundle of joy to grace in their family if they're planning for one!